The plan was to get brunch at the Ten Stone. But then we rethought that silly idea. The Eagles game was starting at 1, and it was bound to be loud and rowdy. So we hopped on over to the Ants Pants Cafe instead. The place is teeny tiny. Seriously, I can’t stress enough how small this place is. It can’t possibly seat more than 20, and that includes the two counters. So be forewarned! So that we didn’t have to wait too long, we ended up sitting at the counter in the main dining area. And by main dining area, I mean the really cramped 5×10 space with tables squeezed in. They have tons of hot drinks, strong on the coffee side, including some “aussie drinks”. These aussie drinks seem to be like the regular coffee based drinks, but they get special names, like “flat white” and “long black”. Or you could be boring and get the latte or the americano instead. It’s the same thing. 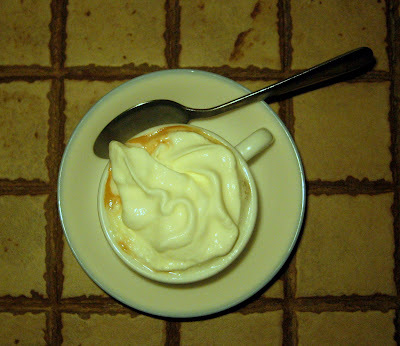 The espresso con panna. In its tiny little cup, how cute is that? S got the hungry man. 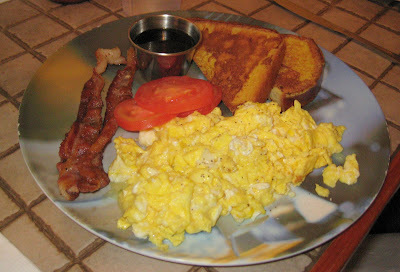 Perfect for a hungry man, or even a hungry woman. 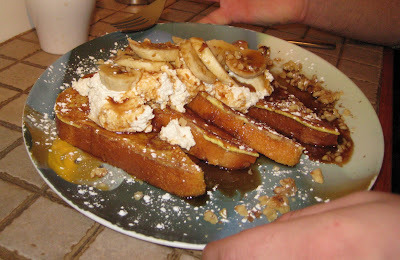 J went with the special french toast, complete with whipped cream, bananas, and walnuts. Who can resist this? 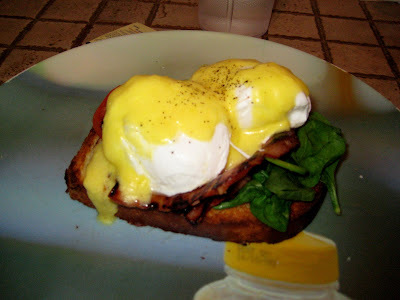 The eggs benedict, served over brioche instead of the typical english muffin. Good, but kind of a small plate for a big eater like J.
We’d gotten a text that the egg, ham, and brie sandwich was the best breakfast in town, so I had to go with it. 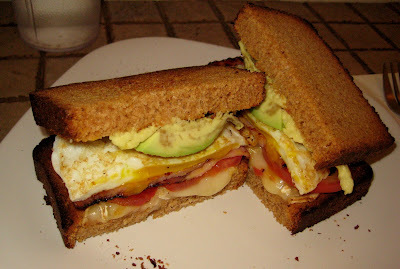 The avocado could certainly have been a bit riper, but the sandwich was darn good. Because we needed a bit more food, we got the sweet potato fries, specifically because I saw pretty much everyone else in the place had ordered them. This had to be a good sign. Oh. My. Word. These were so motherf’in tasty. Seriously. A thousand times better than the Good Dog sweet potato fries, and I love me the fries there. These are cut wide and served with sweet chili sauce and sour cream. 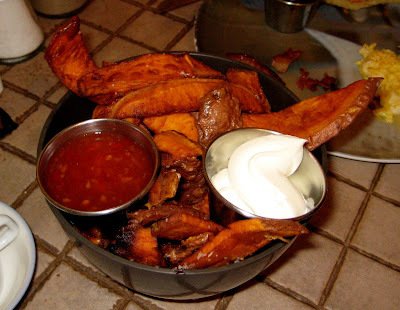 Who knew bottled sweet chili sauce were such an amazing accompaniment to sweet potato fries? We all scarfed these down like we hadn’t even had any other food. Service was good, as usual. We had the same waiter as last time, and he’s a big sweetheart. He also cut his ponytail off, which I appreciated very much. Remember, this place is cash only!